OA#98. Sucker Creek at confluence with Willamette [River], Oswego, Ore. Gift of Ava Crowe. Transcription OA#98. 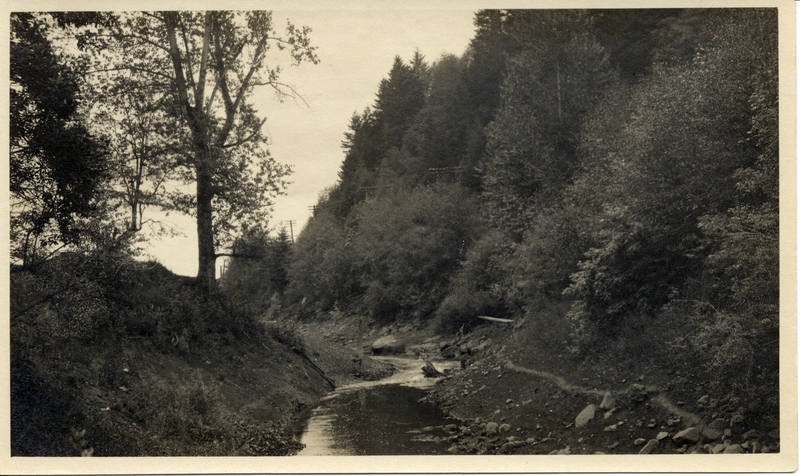 Sucker Creek at confluence with Willamette [River], Oswego, Ore. Gift of Ava Crowe. Physical Description H 3.25"" x W 5.5""